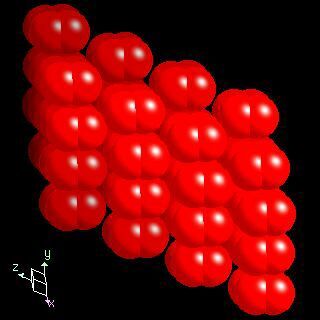 Oxygen crystal structure image (ball and stick style). 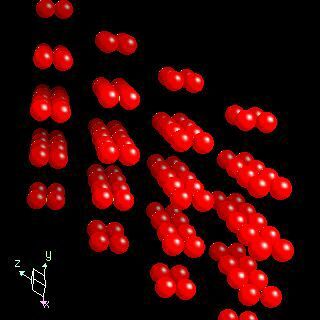 Oxygen crystal structure image (space filling style). C.S. Barrett and L. Meyer, Physical Review, 1967, 160, 694.